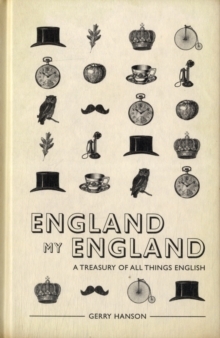 A delightful, wide-ranging anthology about England and the English over the centuries - songs, poems, hymns, letters and prose - this compendium is entertaining, witty, lyrical and heart-warming. With contributions from Sir Thomas Beecham, Rupert Brooke, William Blake, Noel Coward, Rudyard Kipling, John Betjeman and many more, there is also a chapter entitled 'As Others See Us', which includes George Mikes' observation, 'An Englishman, even if he is alone, forms an orderly queue of one. 'With chapters on the English garden, language, institutions, heritage and how we see ourselves, this is a comprehensive treasury of the country and its people. An entertaining, eclectic and serendipitious collection that will delight and surprise in equal measure, England, My England is a real treasure house of pleasing patriotism to savour and share.